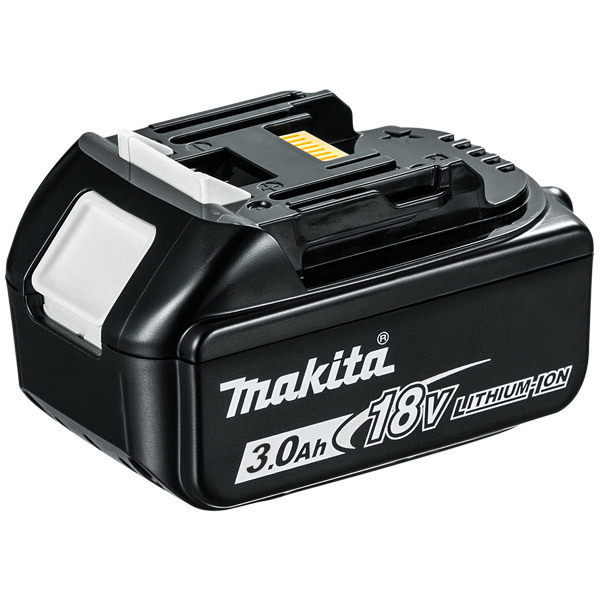 Makita BL1830 18 volt 3.0Ah Lithium-Ion replacement battery for Makita 18 volt cordless power tools. Slide on connection with firm holding and multiple contacts. Shock absorbing and puncture resistant package. Fits all 18V Makita Lithium-ion Cordless Tools. Makita lithium-ion batteries are lightweight and shock-absorbing. These battery packs are 40% Lighter than their Ni-MH equivalent and can deliver over 400% more working capacity over time. Lithium-ion also has minimal depletion of power during usage and storage. NOTE: brand new lithium-ion batteries require approx. 6 to 8 charge cycles to reach optimum working performance.